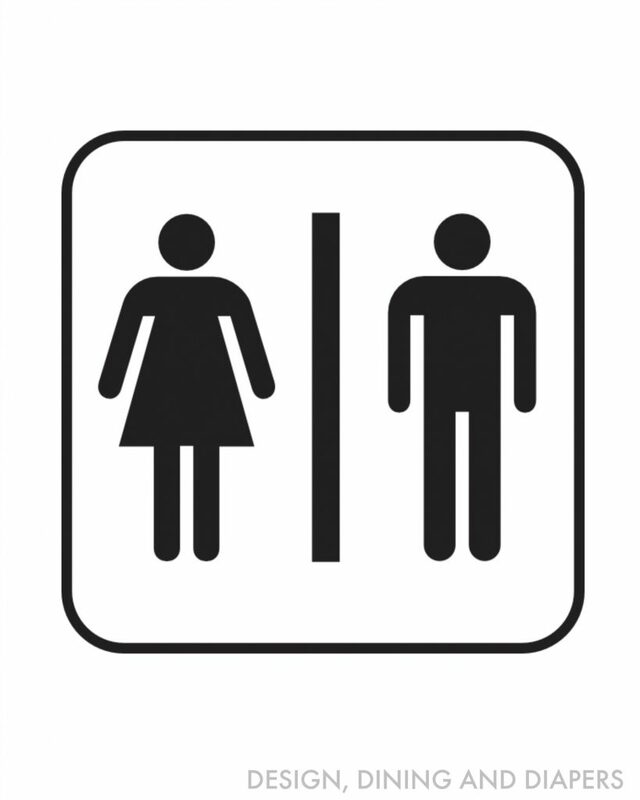 My son and daughter share a jack-and-jill bathroom which means I’ve had to decorate it in gender neutral decor. Obviously that hasn’t been too hard for ME since black and white and neutrals are my forte, my daughter on the other hand is not so enthused and keeps trying to sneak some pink in. Anyway, I digress. I only have a few little details left in this space and one of those things was to mount a stainless steel IKEA shelf I’ve had since November! To accessorize it, I decided to create a few fun printables, one of which has humorous sentiment. When I was growing up, we used to spend almost the entire summer at my grandparent’s beach house. To this day, I still try and take my kids up there 1-2 times a year. I have so many memories from our time at the beach house, including a funny little picture that hangs in one of the bathrooms. 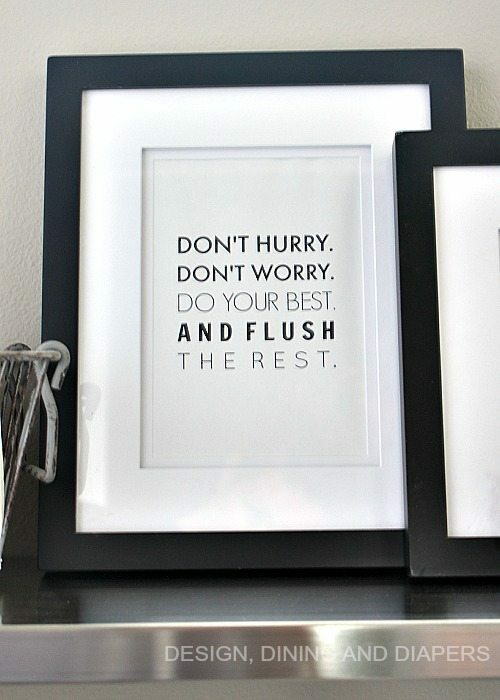 My grandma had a print framed with a funny little saying on it that went like this, “Don’t hurt, don’t worry, do your best and flush the rest.” All of us kids that it was so funny and it totally fits my grandma’s personality. It’s one of those things that I still laugh at whenever I visit. One thing I always try to do is add sentiment to my decor through unconventional ways. While family photos are always great, I like to sneak things in that may not be obvious to other people but have a lot of meaning to us. 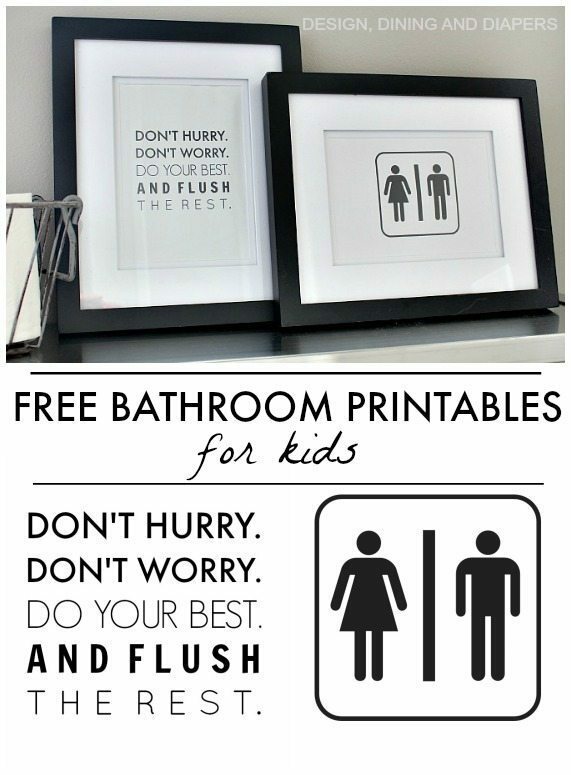 I decided to take that funny print from the family beach house and turn it into a modern print for my kid’s bathroom. I love how it turned out and I giggle every time I go in there now and think of my grandma. I know it won’t be everyone’s style, but I think it’s pretty cute and I hope you do too! It’s always fun to add a little humor into the adventures of raising kids! Your sweet funny little sign just made my stressed university student laugh, so it gets a big “thumbs up” from me! 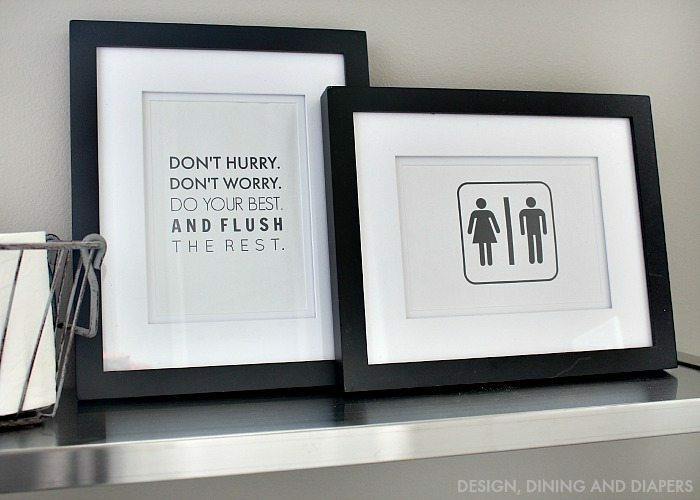 Absolutely love the printable bathroom saying. Hilarious! Thank you for sharing! 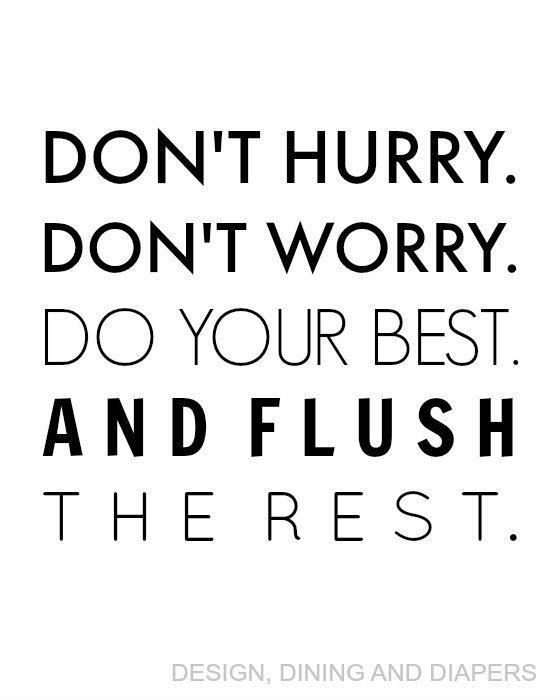 This is seriously adorable and timely since my oldest boy, who is in the midst of potty training, loves to flush! 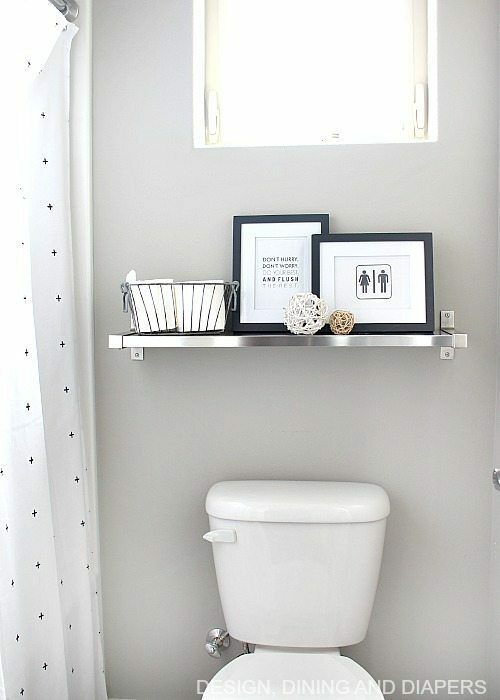 This is perfect for our spare Bathroom. You see not all of my sons friends were taught to hit and flush the toilet and what is scary is they are teens now, lol. SO this is a great and fun reminder…..
Hi! They are made for maximum of 8X10. But you can resize them when you print them. I gave them a link to this site, as well, because I had an idea: Put YOUR “Flush” saying in the middle, surrounded by her four designs on all four corners! As a soon-to-be empty nester, alone most of the time from now on, I wanted something to remind me that I can do this. I thought what a creative idea when I saw your sign, so I just wanted to get the idea out there. Hope you don’t mind.